(TibetanReview.net, Oct12, 2018) – While it was previously reported that a significant Tibet stretch of the otherwise under-construction Sichuan-Tibet Railway project was yet to move beyond the drawing board due to geological complications, Chinese President Xi Jinping has on Oct 10 given the go-ahead for the speedy completion of the project. China’s official Xinhua news agency reported Oct 10 that Xi made the call at the third meeting of the Central Committee for Financial and Economic Affairs, of which he is the head. 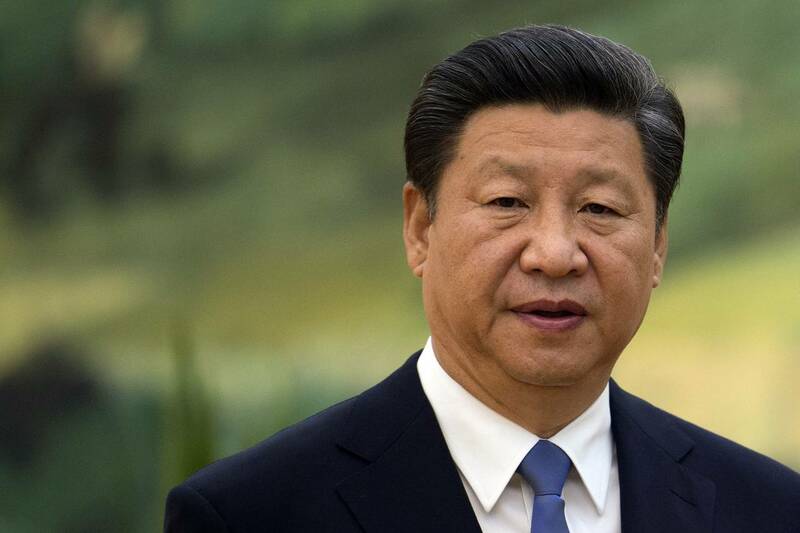 The report said Xi highlighted the project, saying it was of profound significance for the country’s long-term stability and the development of Tibet. Those who attended the meeting were stated to include Premier Li Keqiang, the Secretariat of the CPC Central Committee member Wang Huning, and Vice Premier Han Zheng. The report said the meeting emphasized the planning and construction of the railway as it will promote ethnic solidarity, safeguard national unity and consolidate the stability of the frontier, as well as bolster Tibet’s economic and social development. For these reasons, China will push forward the project at a high starting point, and pursue high standards and quality, stressing scientific planning, technical support, ecological protection, safety and reliability, the meeting was cited as saying. Premier Li had inspected a site for the construction of a major tunnel for the project near Lhasa during his Jul 25-27 tour of Tibet this year. By 2025, passenger and cargo trains will start pounding along this new 1,600-kilometer rail line that zigzags from Chengdu, capital of Sichuan province in the lowlands of the southwest, through craggy hills and scale an elevation of more than three kilometres to reach the Tibetan capital Lhasa, on a plateau dubbed the “roof of the world”, reported atimes.com Oct 11. Lhasa is currently served by a 1,956-km rail link to Xining, capital of Qinghai province, which was inaugurated in 2006 by Xi’s predecessor Hu Jintao. Since then the Tibetan capital has been connected to China’s extensive rail network which are now being extended towards the borders of Nepal, Bhutan and India. The projected cost of the new railway line is 250-billion-yuan ($36.16 billion). The report said trains will cruise at up to 160km/h on the new shortcut through not only the slopes of the Tibetan Plateau, but also across large expenses of permafrost, faults and swamps in tunnels or on bridges, with 34 intermediate stations and with breathtaking views guaranteed. Two of the 14 mountains the new line will pass through are higher than 4,800-meter Mont Blanc, the highest in the Alps, the report noted. The report said more projects were also in the pipeline with lines to connect Lhasa with Kunming in the southwestern province of Yunnan and Urumqi in Xinjiang. Meanwhile, China’s official globaltimes.cn Oct 11 cited industry observers as saying the Sichuan-Tibet railway, dubbed the world’s most challenging railway, will have a big influence in boosting Tibet’s integration into South Asia and the China-proposed Belt and Road initiative (BRI), as well as facilitating its trade connectivity with China’s developed regions. The new railway will enable goods to move quickly along the route without being affected by weather conditions. “Every year, the Sichuan-Tibet highway is closed for up to six months due to natural disasters, blocking Tibet’s trade connectivity with inland China,” Long Xingchun, an associate professor at China West Normal University, was quoted as saying. Unlike Qinghai Province, which is relatively undeveloped and is connected by the Qinghai-Tibet Railway, Sichuan is Tibet’s most affluent neighbour and is the centre of China’s southwest regions with a dynamic and vibrant economic structure. “So its economic radiation effect to Tibet will be much stronger,” Sun Zhang, a rail expert and professor at Shanghai Tongji University, was quoted as saying.